In the jerky world, beef gets all the glory, with venison coming in a close second, especially in the hunting community. But there are many other types of jerky that are just as delicious, and even healthier than your standard red meat variety. Chief among those is turkey jerky, a tasty treat that gobbler-getters would do well to try this spring. Adult wild turkeys offer up enough meat from both halves of the skinned breast to create a few pounds of cut and dried jerky. 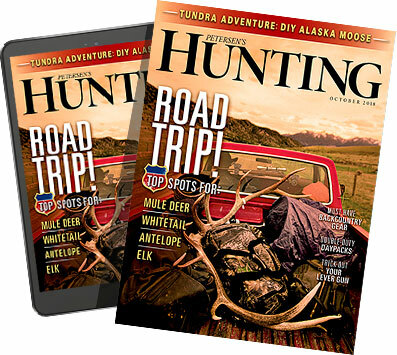 If you’ve looked at the price of jerky at the gas station recently – particularly of the turkey variety – you’ll realize that’s about fifty bucks worth of healthy snacks for the hungry hunter. 1. In a medium bowl, whisk together soy sauce, water, honey, chili-garlic paste, ginger and cure. 2. Using a sharp knife, cut the turkey breast lengthwise into ¼-inch slices. To make this easier, place the turkey breast in the freezer for 30 minutes prior to slicing. 3. Put sliced turkey breast in a heavy-duty zip-top bag and pour turkey jerky recipe brine over. Remove as much air from the bag as possible and seal. Massage bag well to make sure brine is covering all turkey pieces. Lay bag flat in the refrigerator and marinate for a minimum of 12 hours, turning the bag once or twice. 4. Drain marinade from turkey and transfer slices to a smoker or dehydrator. 5. To smoke, set smoker to 175° and cook for 30 minutes without smoke. Then add chips and smoke until the jerky reaches the desired consistency. To dehydrate, set dehydrator to 165° and dry for 5-6 hours or until the desired consistency is reached. There are a few health-related notes to address when using any turkey jerky recipe. As we all know, the USDA recommends any poultry be cooked to 160° before consumption. So if you’re smoking or drying at that temperature, you’re safe, right? Not necessarily. The meat itself has to get above 160° and remain there for a short period of time. For the safest possible jerky, that means either pre-cooking the meat before drying, or heat the jerky after it comes out of the smoker or dehydrator. The problem with either method is the effect it has with any turkey jerky recipe in creating an overly dry, tough product. To reduce (but not totally eliminate) the chance of ingesting harmful bacteria, I use a two-pronged approach. First is the inclusion of Cure No. 1, otherwise known as Instacure, Prague Powder and Pink Salt (but not Himalayan pink salt), in my marinade. In my opinion, any jerky cure – turkey or otherwise, that doesn’t include some type of cure is flirting unnecessarily with disaster. The Cure No. 1, combined with the sodium in the soy sauce and the sugar content in the honey, greatly reduces any chance of bacteria living through the marinade and drying process. I also always smoke or dry the meat in a chamber set above the 160° mark, and make sure the meat itself reaches the magic bacteria-killing temperature. Bacteria thrive in moist environments in the 40°-140° range. Reducing the amount of time the meat sits at those temperatures increases food safety. The best way to tell if your jerky is done is by bending a piece until the protein fibers tear, ensuring the finished product is adequately dry. Now that all that scary stuff is out of the way, let’s talk about what the perfect turkey jerky recipe is to you. Everyone is unique in what tastes they enjoy. I’m on an Asian kick recently, so I’ve been soaking up the tastes of spicy ginger and sweet-hot chilies. Wild turkey has a more pronounced flavor than domestic varieties, but they’re still a bit bland. I find the meat is the perfect vehicle for this pan-Asian influence I’m attracted to. So, while this may not be your idea of a perfect turkey jerky recipe, it’s pretty close to my favorite.